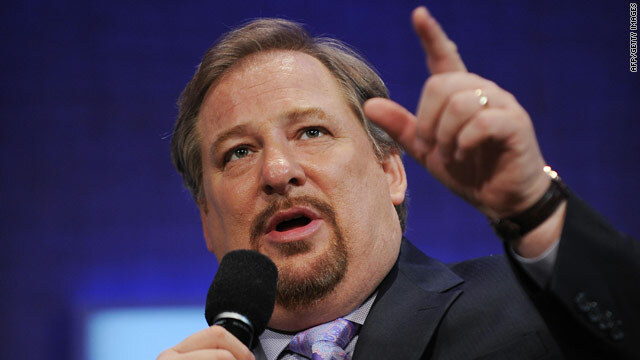 Megachurch pastor Rick Warren is home recovering after his eyes were burned as he pruned a firestick plant in his yard, his spokesman told CNN Thursday. Warren was hospitalized Monday after the incident and released Tuesday, said his spokesman, A. Larry Ross. Warren is expected to make a full recovery, Ross said. "My eyes were severely burned by a toxic poison," Warren wrote in a Twitter message Thursday morning. "Hospitalized Mon. Excruciating pain. Now home. Pray my sight loss is restored." Though the pain was initially so intense that Warren could not open his eyes on Monday, he was seeing well enough Thursday to send the Tweet himself, Ross said. "The pain was excruciating - 12 on a scale of 1 through 10," Ross said. "It's now down to an 8." Warren was pruning shrubs in the yard of his Southern California home when he wiped his eyes after picking up leaves from a firestick plant, Ross said. The sap of the firestick is toxic and can cause skin irritation and temporary blindness if it comes in contact with the skin or eyes, according to the website gardenguides.com. The firestick is a succulent with spiky orange branches. Warren is currently on leave from his church, called Saddleback, to write a book, so the injury is not expected to affect his public schedule, Ross said. "A doctor put protective contacts on my corneas as bandages during the healing," Warren said in another Tweet on Thursday. "I am NOT blind." The firestick is found around the world, Ross said, and grows well in Southern California. "Pastor Rick, an avid gardener, purchased it locally himself," Ross said. Oh my gosh I hope he feels better soon and regains his sight. I agree with Barack Obama that Pastor Warren has much to offer us even though I disagree with him - needless to say - on Proposition 8 and similar issues. Although really that is irrelevant and I wouldn't wish this on anyone. What a scary, scary incident. Best wishes to you Pastor Warren, and get well soon! I was on the Mall (you remember me, I was the happy one in a winter coat and hat with a little flag - just joking, there were probably a million of us). I greatly enjoyed your participation in the inauguration, including the funny way you said Sasha! and Malia! in a show-biz way, and that day remains a happy memory including you. It's amazing how God sheds light to issues, to grab our attention. Look at that! Even the wayward are speaking His word. Wow, what a stupid god! can't even protect his "servant" from poison. Aaron, Thanks for being a human being, and expressing your thoughts. I truly respect you for that. I , like you, cannot believe that anybody regardless of thier affiliations or beliefs, would be so cruel towards another human being that is hurt and in pain. Sad. I hope that Mr Warrens eyesight will be restored, and he will be free from pain. All religions are one big pile of dung. Justifying eating it however you want, the putrid stench lingers. Christians will sing a different "separation of church & state" tune when "Allah akbar" replaces "in god we trust!" The U.S. is the greatest nation on earth! Let's learn from past religious persecutions & strive for true "separation of church & state" now - before it's too late! Amen brother! lol Actually, Iconcur stranger( that is probably just a good human being without some supernatural being to guide him/her). How stupid can you get to plant such a toxic shrub in the first place? In respose to Ben, God did not create Satan!!! God created Lucifer (the Archangel of Music) as the most powerful of the Archangels, Lucifer became power hungry and made a choice to rebel against God and tried to take over heaven. Lucifer had to pay the price for his rebellion, and he was thrown into the lake of fire along with a third of all the angels. Rick Warren is a good man who preaches the word of God, and this was just an accident. Here in Florida we have Brazilian Pepper Bush as an invasive species, I have cut it down and gotten sap in my eyes...burns like fire. And that's why it's called a "fire" stick bush, Einstein. Do you mean to tell me God didn't just reach down and put a new pair of eyes in Pastor Warren's head? God sure is slacking off these days for his men o' god. Rick Warren wrote the #1 New York Times bestseller "The Purpose Driven Life". Instead of just making fun of the story, and talking poorly about someone because of their profession, Read the book. It will change your life, if you're searching for change. Feel better Rick. This would be the reason gardeners are advised to wear gloves, also to learn about the plants they purchase and grow. I bought a firestick plant, there were warnings all over it about it being a the sap being an irritant or able to cause temp. blindness. No excuse for not educating oneself about the potential hazards of anything. It's all over the internet too. I guess he didn't get the "tweet" from heaven about this. I will be thinking of Pastor Warren and wish him a speedy recovery and all the best. For the record, I'm an atheist–not that it matters. Despite differences, I think RW's a good guy. That's what I am talking about! Dianne is among the very few rare loving Atheists. God bless your, dear! Just as every sane human being knows that it's wrong to lie, steal, kill, and commit adultery, Comfort says, they also know that God should be first in their life. Comfort's reasoning is this: People don't fight against something that doesn't exist, or something they don't believe exists. That's why you don't see groups rising up to fight against belief in werewolves. You don't see professors in universities ridiculing the existence of Santa Claus. You don't see organizations mobilizing troops to denounce bunyips, centaurs, or leprechauns. Hydrangeas are always nice and they don't burn. Try them.